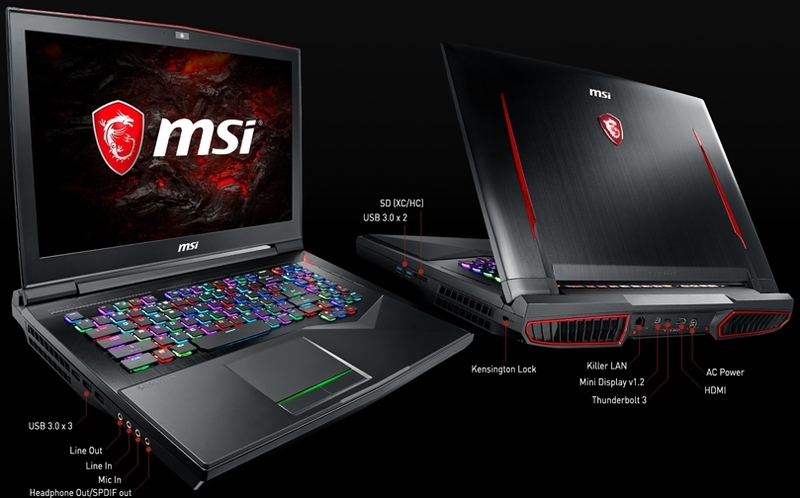 MSI at Computex 2017 showcased the GT75VR Titan, a massive 17-inch gaming laptop that can be configured to outclass most desktops. Pricing and availability wasn’t mentioned at the time but that’s since changed (and you can pick it up ASAP… if you’re willing to part with a large sum of money). 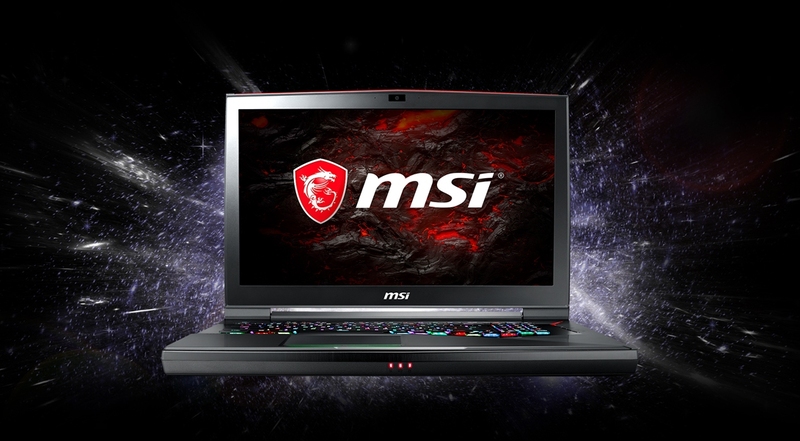 The MSI GT75VR Titan comes equipped with a 17.3-inch display (1080p or 4K) powered by Intel’s Core i7-7820HK processor and your choice of a single Nvidia GTX 1070, dual GTX 1070 cards in SLI or a GTX 1080 and up to 64GB of DDR4 memory. The system features MSI’s Cooler Boost 5 solution which allows the CPU to be overclocked up to 4GHz. Storage options vary depending on configuration, topping out with two 512GB solid-state drives in RAID 0 alongside a 1TB hard drive. One of the key selling points of the GT75VR is its SteelSeries-designed mechanical keyboard. A mechanical keyboard on a laptop may seem like an odd or gimmicky choice yet in practice, our own Steven Walton found the feedback to be excellent. The monster machine also includes a USB 3.1 Type-C port, five standard USB 3.0 ports, a memory card reader, HDMI and mini DisplayPort connections, Bluetooth 4.1 and Killer DoubleShot Pro networking. Pricing starts at $3,299 for the entry-level model with an Nvidia GTX 1070, 1080p display and 512GB SSD + 1TB HDD and tops out at $4,299 if you demand the GTX 1080, 4K display and loads of storage space. *sigh* serious gamers wouldn't be using a dang laptop... There's more to it then that, like a gaming mouse (not a touchpad for heavens sake). This is for people with money to throw away or people who don't understand the difference between a laptop and a desktop. You don't need a desktop if you own this. Much more tidy. No harm in running multiple monitors either. I know of many companies now that have ditched the desktop in favor of the WS (Work Station) series if MSI notebooks that have Quadro graphics & even xeon cpu's. I'm a serious gamer and I use the older model of this with a mouse sat on the sofa. Who uses a touchpad to game? fml. I use a laptop as I have no room for a desktop + I travel a lot so it makes sense to have something I can play while sat on a train or boat for 4 hours. Capaill and Burty117 like this. I have a desktop and a gaming laptop (for when I'm away from home) . Admittedly my laptop is no-longer top of the range but it still handles a lot of the older stuff. I'd love to get a proper gaming laptop but that price!! Also I don't do enough travel any more to justify it. Instead, I'd prefer a way to play games on any TV in the house.